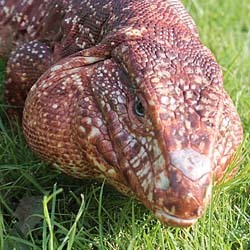 Jellybean is a Red Tegu from the Tampa Bay area that is a little chunky to say the least. He has been with us at Croc Encounters since 2006. 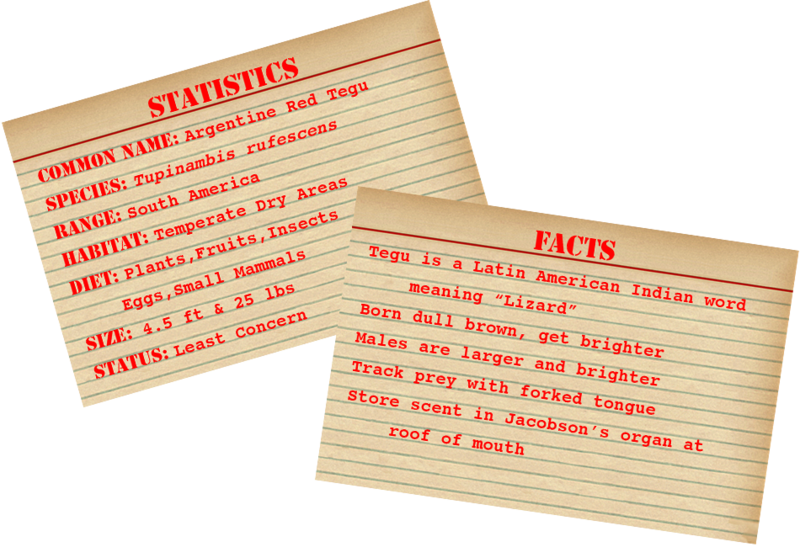 He was placed at our facility by his pet owners and he is an example of what happens when your diet consists mainly of hotdogs; when he arrived he was extremely over weight. 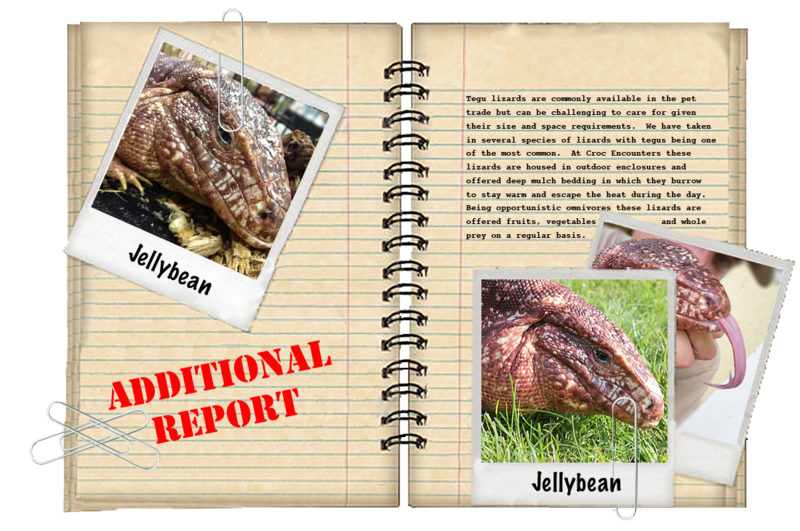 Since he has been at Croc Encounters, Jellybean has gotten a more balanced, healthy diet. His weight has returned to normal although he still carries his characteristic chubby cheeks.